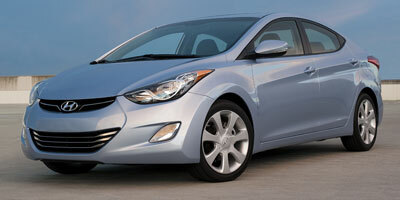 Hyundai's initiative to update seven models in 24 months has transformed the Korean carmaker into a new-car juggernaut. The brand's renaissance has spawned the striking Sonata and the luxurious Equus, and the most recent recipient of Hyundai's redefined vision is the Elantra. Graced with Hyundai's new "fluidic sculpture" design language, the Elantra expands one inch in length and two inches in wheelbase, and the increased interior volume of 95.6 cubic feet actually bumps the sedan into the EPA's "midsize" category; front legroom is now best-in-class, and the Elantra offers more interior space than the 2010 Volkswagen CC, 2010 Acura TSX and 2011 Nissan Maxima. 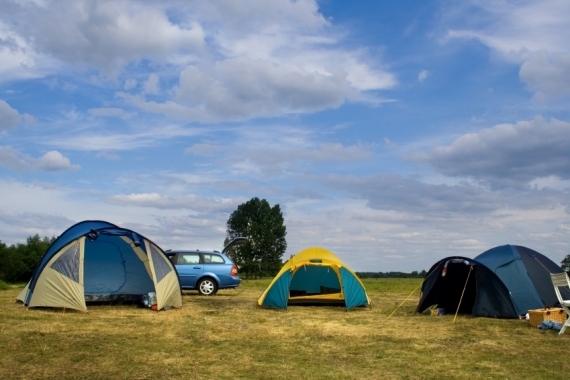 Underpinnings have also been redesigned for efficiency. 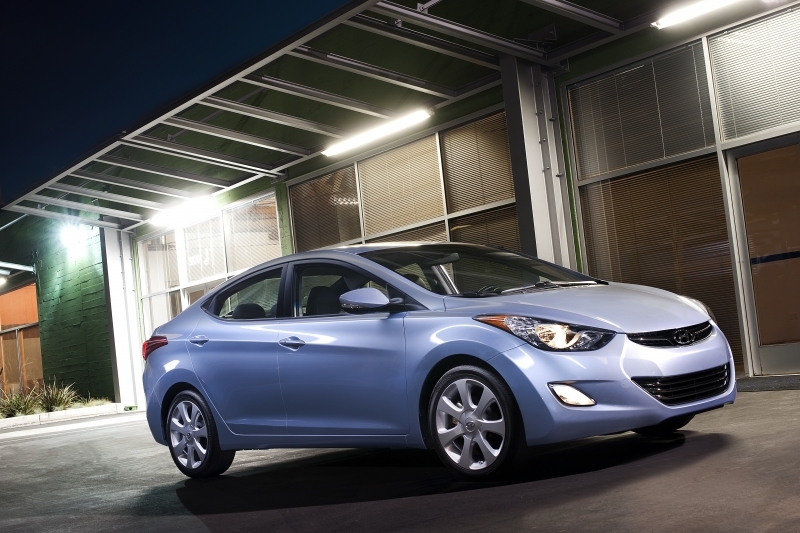 Despite its bigger proportions, the 2011 Elantra has shed weight by featuring a smaller, lighter and more powerful engine that also achieves an impressive 40 mpg highway. A whole lot; from its contemporary, streamlined silhouette to its significantly upgraded interior, the new Elantra—like the Chevy Cruze—is virtually unrecognizable from its predecessor. Performance and fuel economy are up, curb weight is down, and the word "desirable" is increasingly becoming associated with the once unfavorable Hyundai brand. Despite mechanical improvements all around, Elantra's independent front and non-independent rear suspension never fully inspire confidence, especially during higher speed maneuvers. The electric motor-driven steering system requires constant adjustments, even during straight-line driving. And though ride quality is generally supple, we'd happily trade some of that plushness for more body control and directional stability. We enjoyed seat time behind the wheel of two Elantras—a GLS Standard model with a manual gearbox ($15,500) and a fully topped out Limited Premium model with an automatic transmission ($22,700). Though we usually prefer three-pedaled driving, we found that the manual's long-ish gear ratios sapped a bit of the fun; despite the reduced driver involvement, the automatic maximizes the engine's torque curve and propels this 2,701 pound sedan with smooth, seamless power. 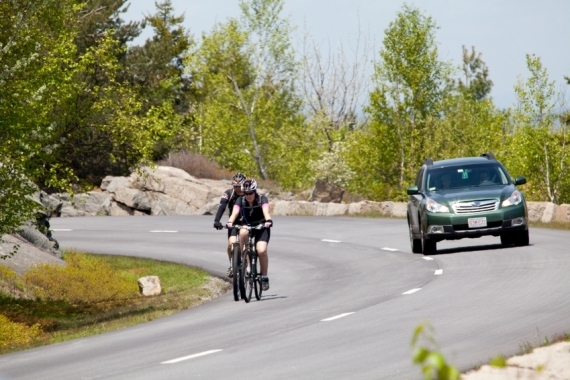 Sounds levels are low, especially at stoplights when engine noise is virtually imperceptible, though a bit of tire noise creeps into the otherwise hushed cabin at highway speeds. The only major faults in the Elantra's road manners pertain to steering and handling; the electric power steering's on-center feel is vague, which demands more attention than it should. There's also some perceptible weight transfer mid-corner that can lead to somewhat disconcerting inertial shifts; when driven less aggressively at lower speeds, though, the Elantra's smooth ride and relatively quiet cabin makes it comfortable for long hauls. The Elantra's new 1.8-liter engine is a quantum leap over the 2.0-liter mill it replaces; not only does it shed 74 pounds and produce seven percent more horsepower (for a total of 148 at 6,500 rpm), its dual continuously variable valve timing enables 40 mpg on the highway, an 18 percent improvement in fuel economy. A six-speed manual gearbox is available, but the all-new six-speed automatic (also found in the Sonata) is particularly notable since it's now built in-house by Hyundai. 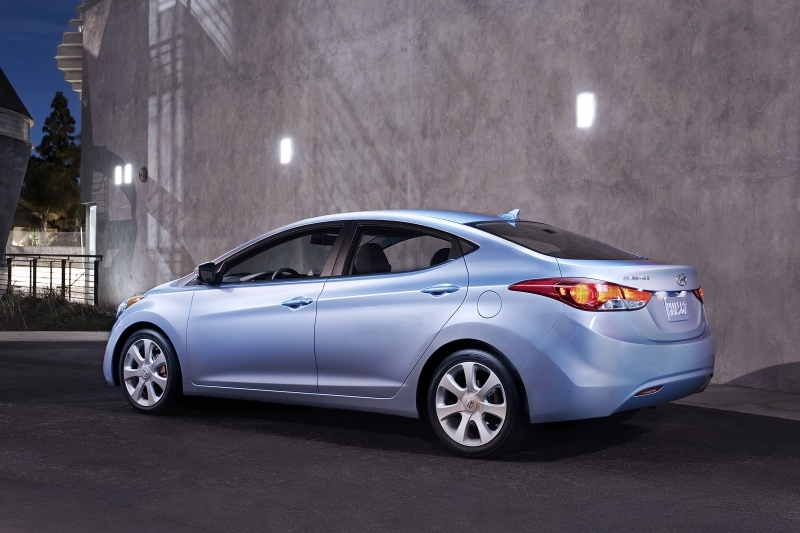 The 2011 Elantra poses an interesting spatial conundrum; though its exterior has grown incrementally in size, its internal proportions push it into the midsize category. Also, while the lower-end models require some spec'ing (air conditioning is an option), the higher end trims feature stuff you can't get in far pricier cars, like front and rear heated seats. Some of the Elantra's technology is hidden under the skin, like its six airbags and the incorporation of high-strength steel for weight savings, while higher end models are endowed with all manner of conveniences like a rearview camera, streaming Bluetooth 2.0 audio with voice recognition, XM NavTraffic, NavWeather, Sports and Stock numbers, and a 360-watt premium sound system. The audio system features iPod, auxiliary and USB connections that enable JPEG or BMP picture slideshows on the seven-inch color touchscreen. With its EPA ratings of 29 city and 40 mpg highway, the 2011 Hyundai Elantra achieves a fuel economy gain of 18 percent thanks to an aggressive weight loss diet that yields a curb weight of 2,661 pounds with a manual gearbox and 2,701 with an automatic gearbox. Variable valve timing, electric steering and new transmissions aid those numbers, which we actually exceeded with the manual gearbox. 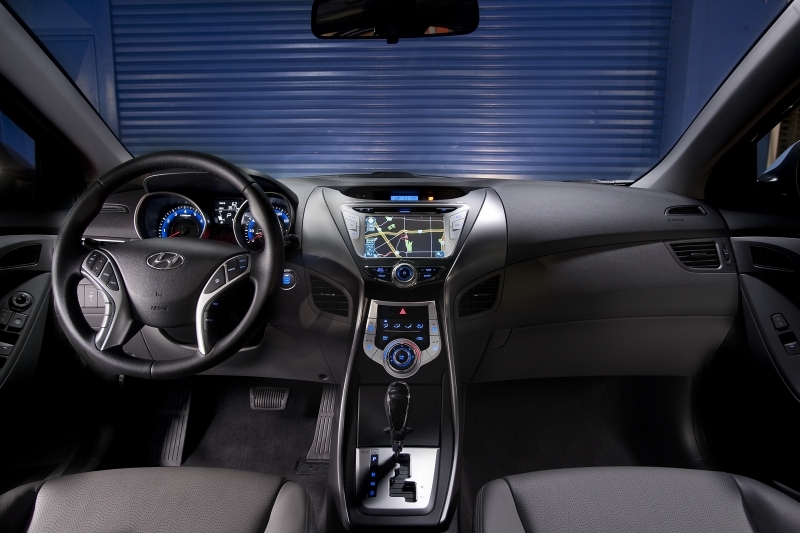 The Elantra's cabin is a pleasantly finished space that utilizes novel materials such as cloth-like pillar coverings made of plastic mixed with fibrous tissue and volcanic rock. 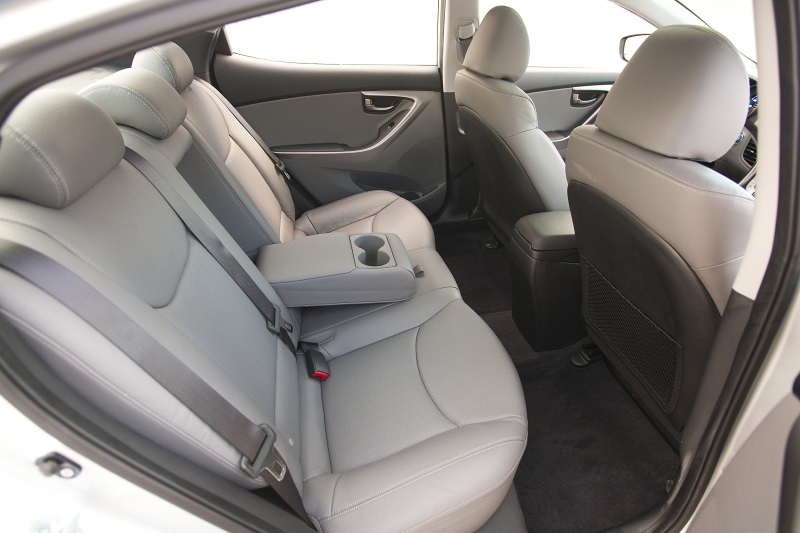 A wave-like theme carries from the dashboard design to the perforations in the leather seats, and the quality of materials—even the plastics and trim details—is surprisingly impressive for the Elantra's price point. The Hyundai Elantra's so-called "fluidic sculpture" themed exterior is the creation of chief designer Cedric D'André, who says he sought a sporty, slick and stretched out design that shares DNA with the all-new Sonata. Thanks to its purposeful character lines, aggressive poise and cohesive flow, the Elantra exudes a striking road presence. Hyundai has always represented a value proposition, though the brand's ever-growing list of amenities has forced the upper ends of model lineups to get increasingly pricey. Nonetheless, apples-to-apples comparisons reveal that Hyundai still undercuts the competition: the $17,800 Elantra GLS reflects a $1,505 saving over the comparably equipped $19,305 Honda Civic LX and a $1,620 advantage over the Chevrolet Cruze 1LT. Even better, the Elantra comes with a 10-year/100,000-mile warranty, while the Honda and Chevrolet offer five-year/60,000-mile and five-year/100,000-mile warranties, respectively. Hyundai has come a remarkably long way since their early days as the Korean black sheep of the car world, and the 2011 Elantra further leapfrogs its predecessor by a long shot. With its impressive list of available amenities, pleasantly finished interior, and striking exterior, the Elantra hits all the right notes—with a 40 mpg fuel economy figure as a cherry on top. Most drivers will be satisfied with the Elantra's enthusiastic acceleration and relatively quiet ride, though enthusiasts will likely find fault with its steering feel and transient response in turns. Though it wouldn't be our first choice for a spirited romp down a canyon road, the Elantra's many strengths offer an ever-stronger argument for this all-new midsize sedan.